3 Piece Bistro set. 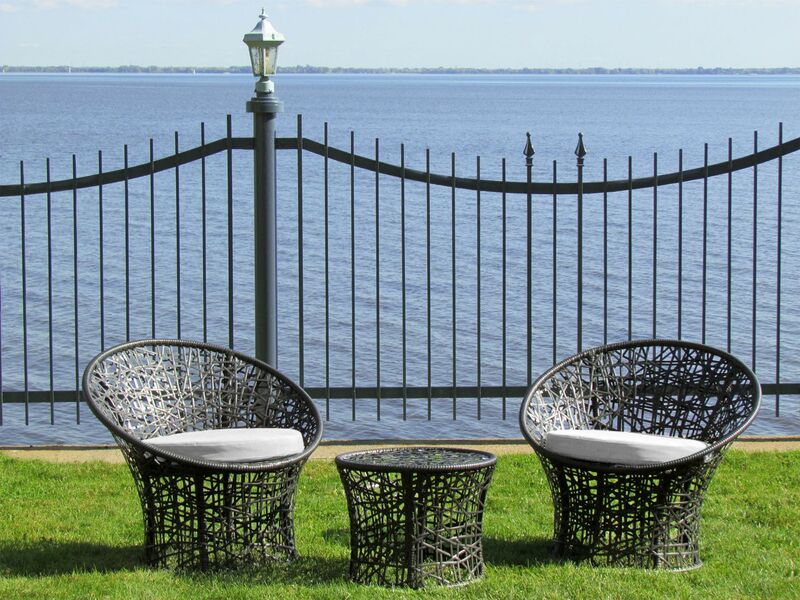 Aluminium frame with PVC wicker. PVC wicker color is grey. 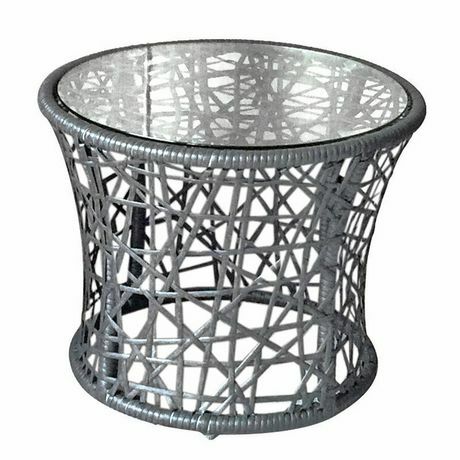 Table size: 20 x 15.7", with 5mm clear glass top. 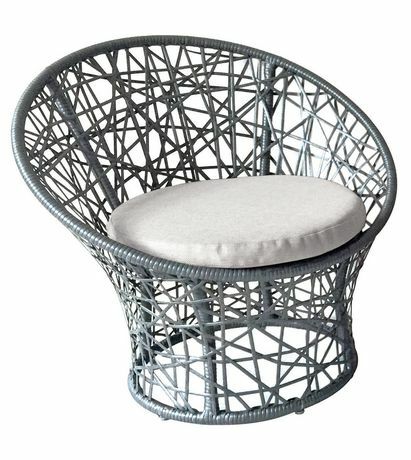 Chair size: 31.5 x 27.6 x 29.5", with light grey cushions. Add this modern set to add décor to any space. Ships all in one box.